- Sekem replaced Canterbury as the apparel sponsor. - The base of the gold vee went from rounded to pointy for the first time since 1995-96 (and before that 1955). - West End logo was changed to a more-modern look. 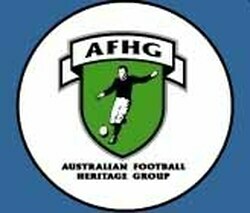 2005 - the number font changed from the traditional footy font. 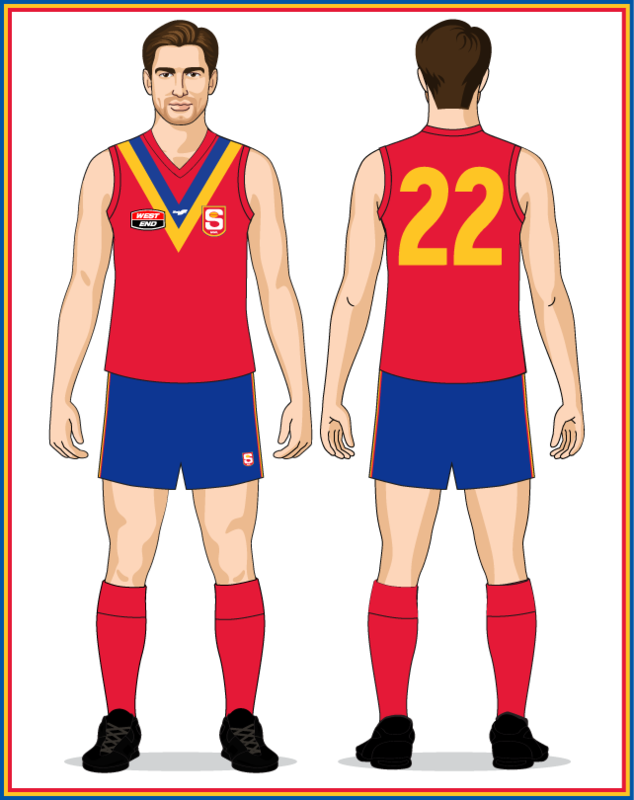 2006 - "Be active" added above the SANFL logo (this slogan was part of an SA State Government health initiative). - navy blue worn for the first time since 1978. - vees much deeper on the jumper than previous seasons (the only seasons with comparable depth were 1996-97). - Sekem logo moved from the vees to just below the neck. - West End logo added to the shorts. 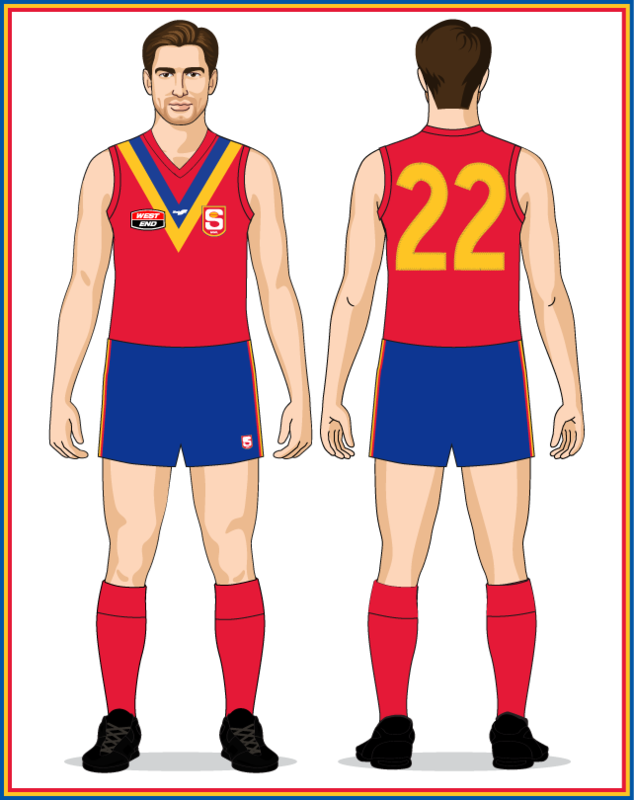 - SANFL logo on the shorts became noticeably larger. KooGa replaced Sekem as the apparel sponsor and their logo was added to the front of the socks and the vees. - vees became much thicker than at any stage since the 1950s. - Andrew McLeod/VS VIV Sports replaced KooGa as apparel sponsor and their logo was added to the jumper front and shorts. - West End logo moved to opposite side of the shorts. - Andrew McLeod/VS VIV Sports removed from the jumper front. 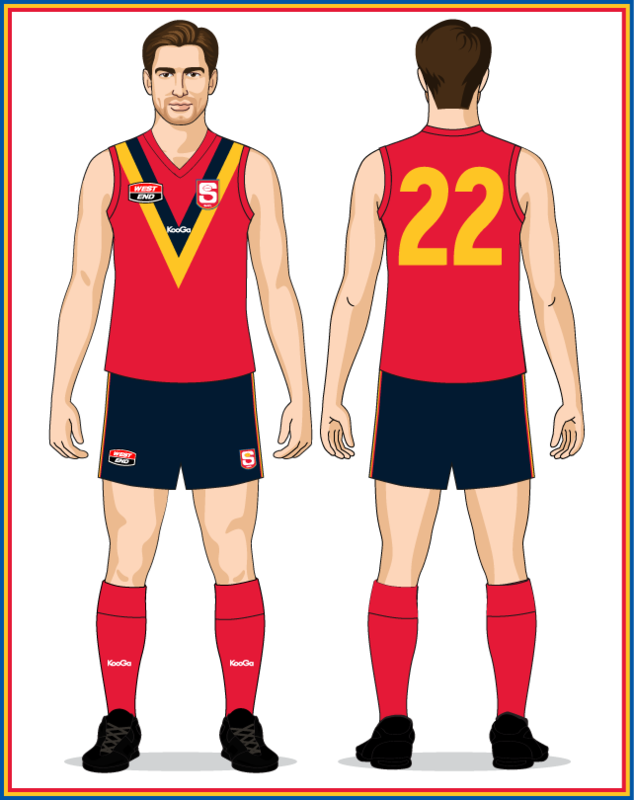 - SANFL logo became noticeably smaller. - BLK replaced Andrew McLeod/VS VIV Sports as apparel sponsor and their logo appeared on the shorts. - change of apparel sponsor resulted in a different jumper template and neck design. 2015 - the vees moved down the jumper (most of the top of the blue vee finished against the shoulder trim). 2016 - the vees returned to their 2012-14 position (the top of the blue vee finished above the shoulder trim).